Most of us have been programmed to believe that the earth, outside, on the ground, is “dirty”… what? And as a child, one way or another… most of us have been told that our special parts, and all that they do, are “dirty”…huh? We want to help you deprogram and remind you that is not true. No part of you or the earth is dirty. Only the waste that we create from our processed synthetic materials can be called dirty. Staying grounded is key to cleansing. When you are anchored to the earth, you are in a constant toroidal loop of regenerated energy coming straight from the planets core. It’s not a one time thing either, we are constantly faced with challenges that we have to let go of. Big or small. We don’t have to give examples because right now you’re thinking of something you want to let go of. You wanna stay cleansed? Let go sooner than later. But either way never put yourself down if it seems to take a while. Be patient, but let go. Of course the best way is through your art. In a therapeutic sense there is no judgement as to what you are creating. You have to come from your heart space and flow into the circumstances you want to let go of. Feel them leaving you and transporting into the art. Write down everything you want to let go of. Write about the process. And eventually how it has been done. During a full moon write down everything you want to let go of. Go outside in a safe space and burn it. Watch the circumstances be transformed in the smoke and carried off into the cycles of the earth’s cleansing. To really feel clean inside, no matter what you eat… is to drink a lot of really good water. Alkaline water is the best way to balance the acidity in the foods you eat. That is, if you like to indulge in oily greasy foods like some of us here at Collectivus! You can make your own by adding lemon juice to your water or even a bit of himalayan pink salt. If you can invest in an alkaline water machine even better! Burning aromatics has been a form of cleansing since before antiquity. It is the first aromatherapy known to man. The fire and smoke is an active force that can drive away negativity. 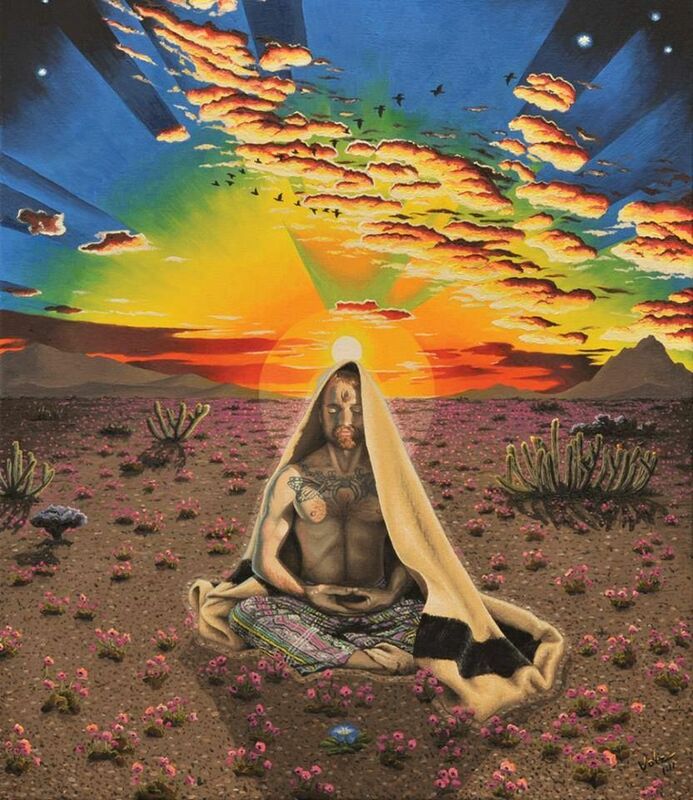 Always open whatever doors and windows are in the room you are smudging. Start with the corners of the room and work your way to the windows and the door. Whatever it is you are burning, have a saucer close by to catch any ashes or embers that might fall. You can feel different effects depending on what you choose to burn. It has been proven in scientific studies that burning sage kills bacteria in a room and also helps with the immune system. Our grandmothers could have told them that! You can grow it yourself or buy bundles of dry sage at a spiritual shop. A great way to smudge yourself daily is to find yourself a feather. You will be drawn to one once you decide you’d like a feather. Use it in your dominant hand while you have burning sage in the other and direct the smoke with the feather lightly brushing yourself. Start with the bottoms of your feet and work your way up to the top of your head. 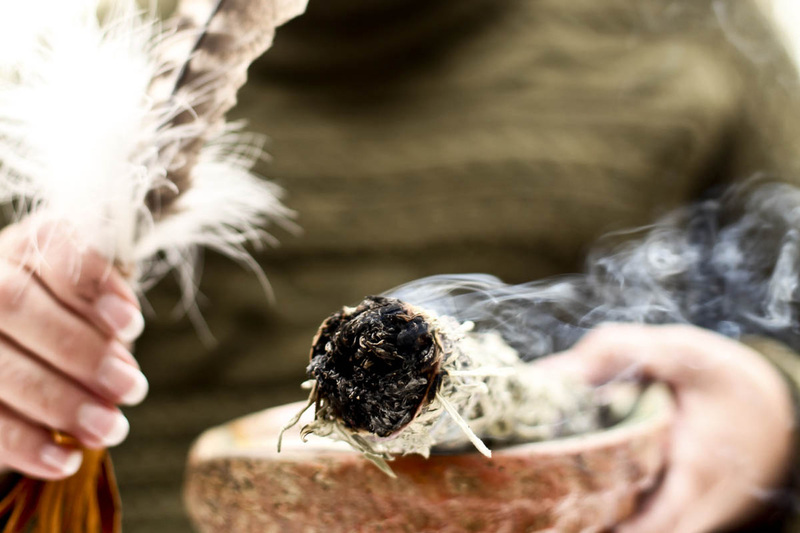 This works best if you have someone else with you, you can take turns putting your arms out and brushing the sage smoke to smudge one another. Most of all just let intuition guide you. Palo Santo directly translates to “Holy Wood” in Spanish, it comes from Central and South America and has been used since the time of the Incas to cleanse away bad spirits and negativity before ritual and journeys with plant medicines. It has an amazing smell that you don’t even need to burn to enjoy. It also comes in oil form. Natural incense can easily be made with powdered or crushed resins and they are much more potent and enjoyable as they will last you much longer too. Buying hot coals and a bag of resin is also a great way to do some deep cleansing. The smoke produced from coals is thick and hot and depending on the resin you choose it will wholeheartedly effect your psyche also. Frankincense resin has been referred to in much of history in the Middle East and Egypt and even in China. It has an aroma that will make you feel like you have been transported to a sacred space in the Arabian Peninsula. Oil burners are light and pleasant ways to keep your space constantly cleansed by burning a natural plant oil such as eucalyptus or lavender. Who knew! The final tip for spiritually cleansing is also a physical one! This kind of bath is a mediation that really balances your mind, body and spirit. Salt is the main ingredient in this cleanse. 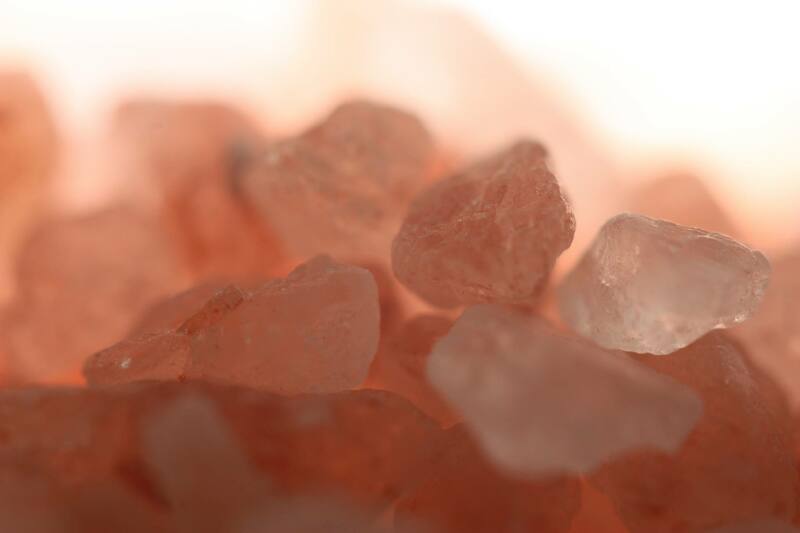 Preferably sea salt or mineral salts but wow even better if you can get some himalayan salt crystals. But do not use over the table salt for this. The thing about salt is, its a mineral. Not only that but, its a crystal. It has the ability to draw out toxins not only physically from your lymphatic system but also spiritually. It can also balance the PH in our bodies and keep our electrolytes balanced. You need about ½ cup of salt and balance it out with either olive oil, vitamin E oil, or anything to keep your skin from drying. Coconut oil works too. Ground yourself and smudge the bathroom before you begin. Scrub yourself with the mixture of salt and oil, but as you do this imagine the salt creating a light grid around your body, infusing it with clear bright cleansing light and absorbing all the toxic energy and bacteria you have accumulated. Then get in the shower and rinse off, keeping that meditative state and feeling your negative past and all that you let go off, run off your body and down the drain. You can pour salt and oil and mix it into the water before laying in it, or if you prefer… draw a bath and keep the oil and salt mixture on the side. In the bath add some fresh or dried herbs and flowers like lavender, hyssop, rosemary, or lemongrass. These are all cleansing herbs. You can scrub yourself with the salt mixture once your in the bath. Going over every part of your body give thanks and center yourself as you allow that light grid to penetrate your innermost being with love. Once your done pull the plug keeping in mind that all that you are pulling the plug on all your worries, doubts, and fears. They have been washed away.